The only chance to taste Sour, Sweet, Bitter, Spicy & Savoury Glutinous Rice Balls! As the year end draws close, we are also fast approaching Winter Solstice Festival or Dōngzhì (冬至) Festival. This important festival on 21 December 2016 is traditionally celebrated with family and friends by eating sweet glutinous rice balls to symbolise family unity and prosperity. 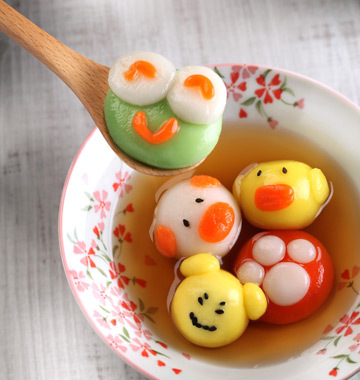 one-of-a-kind four-flavoured glutinous rice ball offerings. 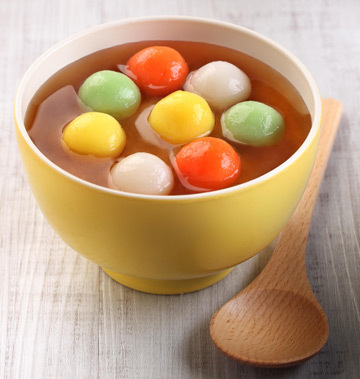 On Saturday 17 December 2016, CFS will introduce for the first time, a unique creation of sour, sweet, bitter, spicy (酸, 甜, 苦, 辣) tang yuan dessert as well as a savoury glutinous rice ball dish to celebrate Dōngzhì. You will be able to taste the various flavours such as sweetness and tanginess creatively infused into each tang yuan. Consuming a bowl of these “emotions” will symbolise embracing the good and banishing the bad! In celebration of Dōngzhì, CFS is also arranging a one-day only complimentary workshop for the young and old to celebrate the festival together! 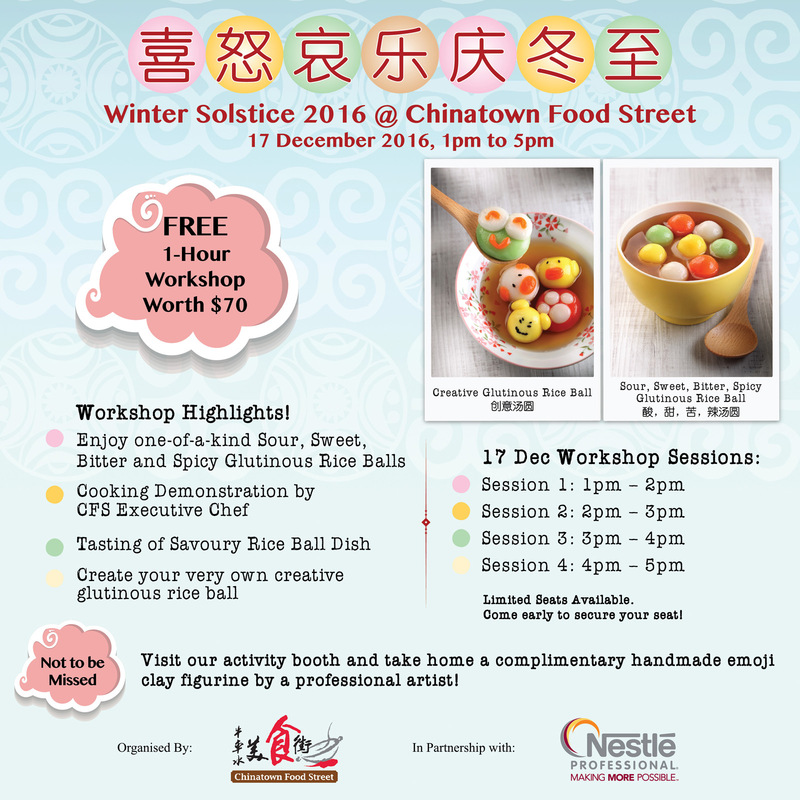 Participants will be able to enjoy the four-flavoured tang yuan and DIY their very own creative glutinous rice ball. It is also an opportunity to be up close and personal with CFS Executive Chef who will be conducting a cooking demonstration of a savoury glutinous rice ball dish generic lipitor. There are limited seats available for the workshop, so arrive early to the event to secure your seat for one of the four workshop sessions available! Participants can also take home a complimentary handmade emoji dough figurine by a dough figurine artist at the event! Not to be missed is the savoury chewy glutinous rice ball dish fried with fragrant garlic, dried shrimp, onion, shiitake mushroom and minced pork. This dish is available for sale for one day only at $3.80 per portion. Each purchase of savoury glutinous rice ball comes with a complimentary takeaway portion of traditional tang yuan dessert. Be sure to head down to CFS on 17 December 2016 to celebrate this age-old festival with a day of fun!